After my lecture on the Impressionists and Post-Impressionists, I ask the students to let me know which artist, or which piece of art, had the biggest impact on them. These artists are often labeled as boring or pedestrian as their humble scenes of domesticity and bucolic landscapes often go unnoticed. The artwork is what some consider “hotel art” or art that doesn't challenge or offend the viewer. However, once the students hear the back stories on these artists (particularly Van Gogh, and Toulouse-Lautrec), their opinions change and they view this art with new eyes and attitudes. One of the students, a quiet young man with a passion for music had this to say about Van Gogh. 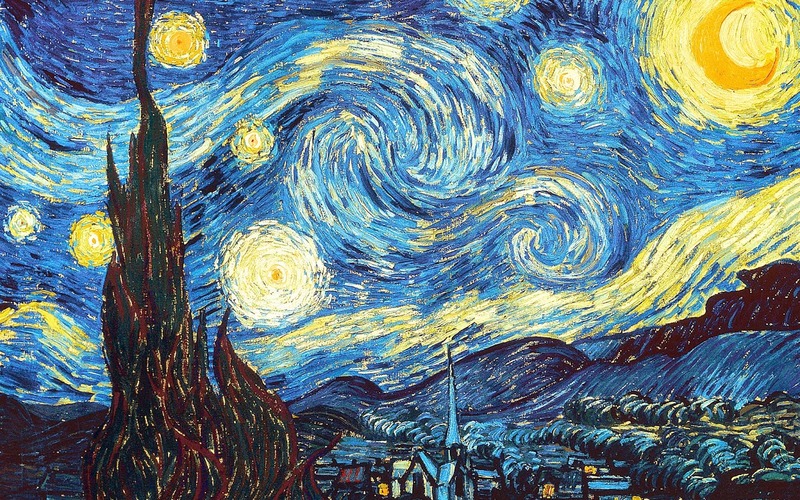 The painting that I have come to enjoy more and more over the past few months is “Starry Night” by Van Gogh. I’m not a huge painting fan, so I don’t know much of his work. I know this one though and I love it with the colors, swirls, everything. Van Gogh inspired me with this painting by reminding me of home. Being in this place, it is really easy to become “institutionalized,” or immune to reality. I’ve tried very hard to not let that happen to me and this painting, whether I see it or not, has helped me. Just thinking about it helps me to remember that there is more to all of this than just prison and someday, I’ll get to go home and experience that. That’s what keeps me going every day. Thank you for this class. I was humbled by this disclosure especially after a particularly challenging week dealing with the bureaucracy associated with the MDOC and teaching in this facility. I was renewed as I realized that for some, I was bringing a sense of hope into their lives, a sense of having a purpose beyond being a number in the penal system. It’s not easy work, teaching never is, but its rewards are often more than you can ever imagine.